No need to worry about video format and codec anymore! It plays at once. Video : MP4, MKV, TP, MOV, AVI, WMV, ASF, FLV, OGV, RMVB, etc. Audio : MP3, WAV, WMA, FLAC, APE, etc. 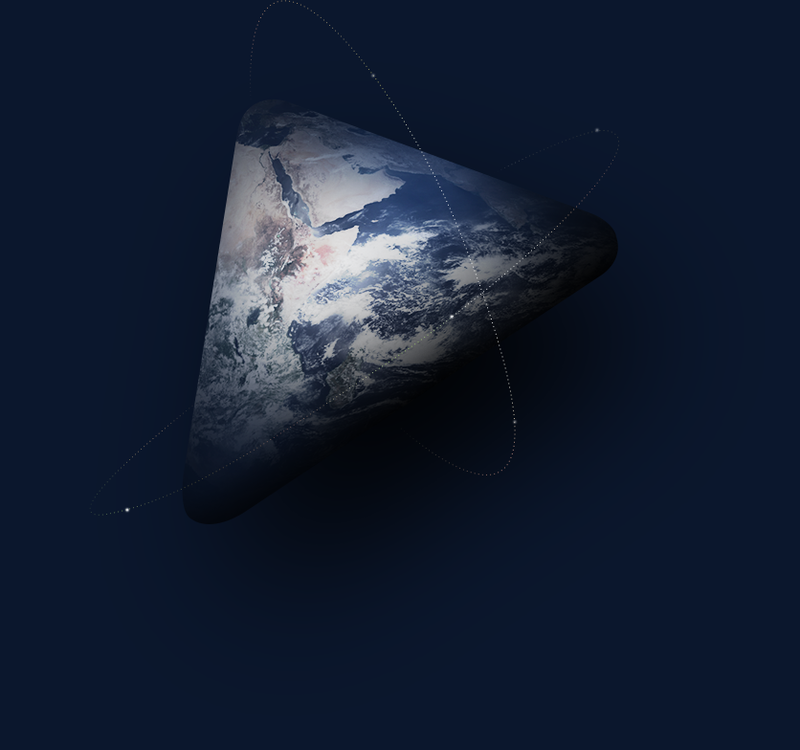 which is the most important feature of a video player. You can watch and download any videos on the web using the embedded web browser. You can be easily connected to a smart TV wirelessly (UPnP). Just send images you watch to the TV! 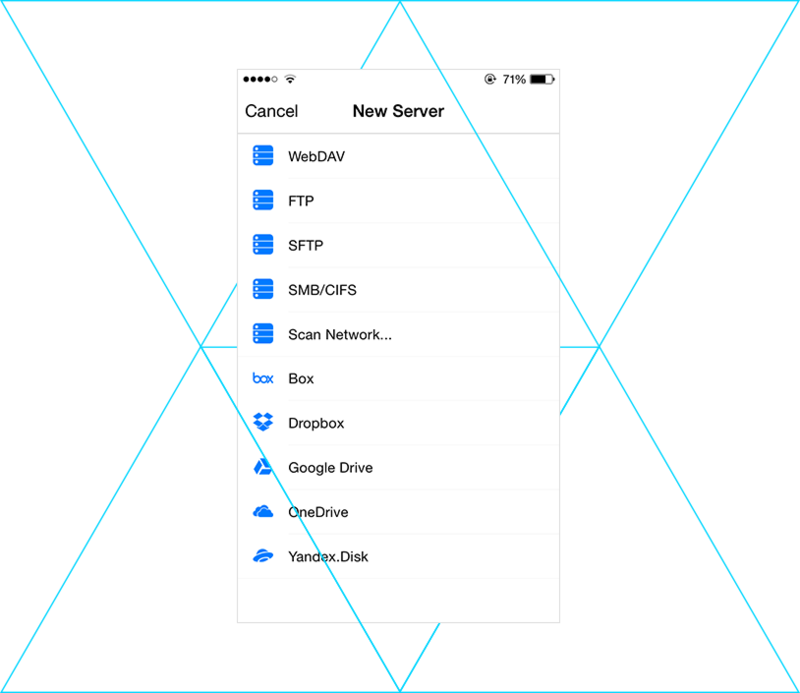 Box, Dropbox, Google Drive, OneDrive, Yandex Disk, etc. No need to insert a video file into the device! Wherever your file is, you can play. 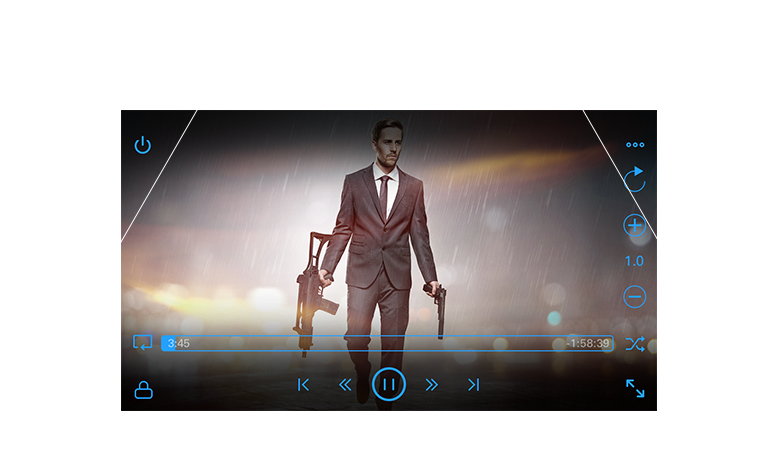 nPlayer allows you to control images in detail. Format size setting: Default, 1:1, 3:2, 4:3, 5:3, 16:9, 1.85:1, etc. You can enjoy high quality two-channel sound with a direct output without revising the Dolby or DTS sound source. You can easily control various functions with the touch of a fingertip. 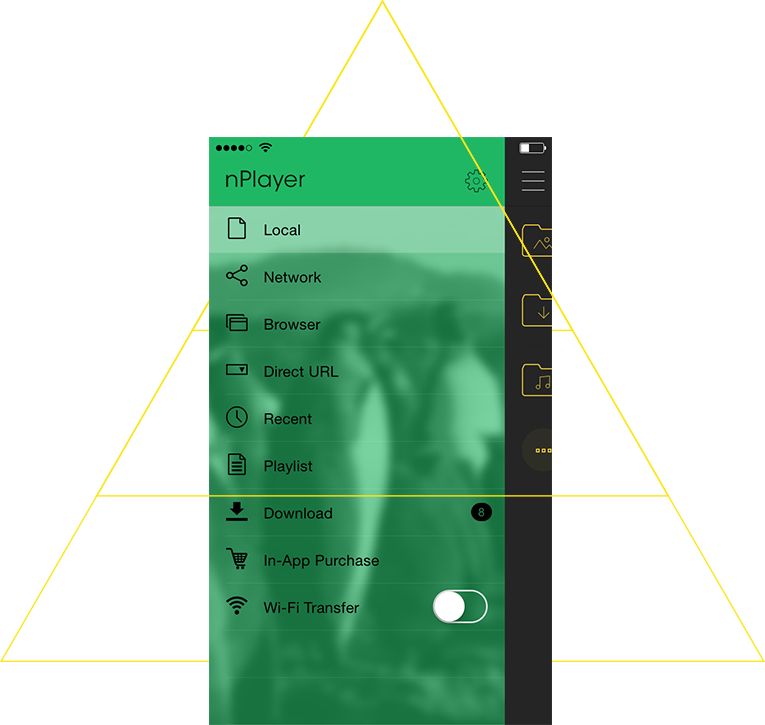 nPlayer provides users with optimized UI for managing and playing various media. You can easily set various functions with simple gestures. All necessary functions to manage files, folders and playlists will be provided. Connection with other apps (Open-in): To play the attached file in email, etc. You will experience all easy-to-use functions to play subtitles. To set subtitle font, text color, shadow, contour, etc.